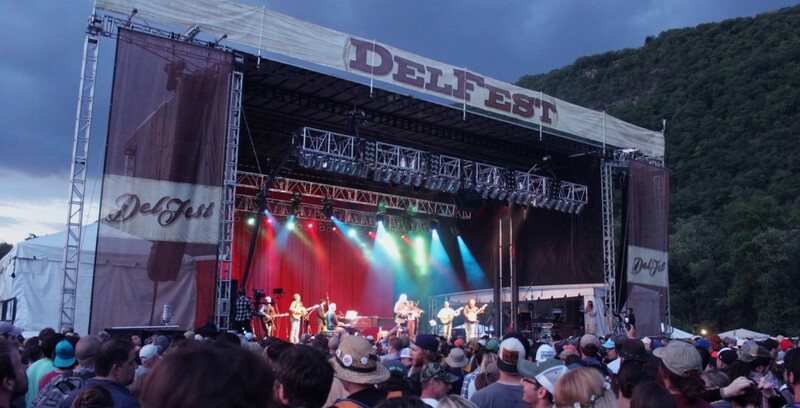 Delfest returns to the Allegany County Fairgrounds in Cumberland, MD for it’s 10th annual celebration, May 25 – 28, 2017. This year’s star studded lineup includes Trey Anastasio Band, Govt Mule, Bela Fleck, Railroad Earth, Leftover Salmon, Infamous Stringdusters, Hot Rize, and of course Del McCoury and his family band. There’s plenty of old favorites and lots of new music to discover. There’s something for everyone at Delfest: Music all day, late night barn burner shows, lazy river floating down the Potomac, kid zone, local craft and food vendors- it’s clear to anyone who attends this festival why it has grown in popularity and is still going strong into it’s 10th consecutive year. String Cheese Radio is delighted to be returning for our 5th Delfest! Can’t wait to see you all there. Yay Jeremy! Thanks for posting, it has been awhile. Hope you had a marvelous time! So excited to see this! Have a blast!